RT’s 10th anniversary has attracted a number of famous people, who wish the channel endless success. Among them was the well-known impersonator of Barack Obama, Louis Ortiz, who starred in RT’s promo mocking the current US leadership, trying to imagine what the world would be like when RT turns 30. 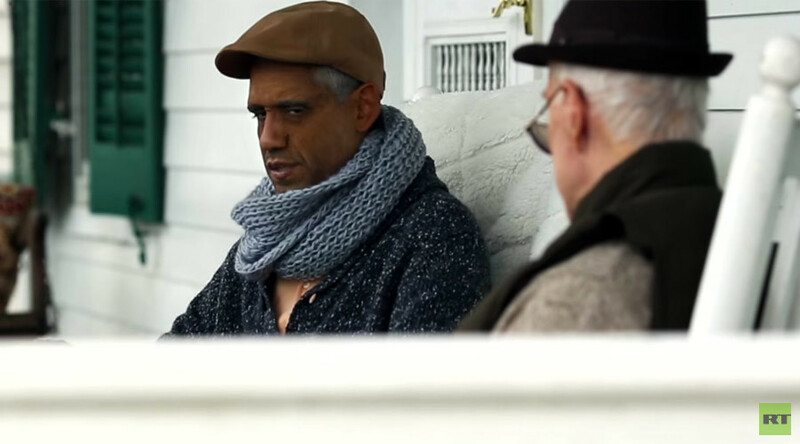 The 1:20 minute clip features old Barack Obama (Ortiz) and John Kerry (performed by Kerry’s namesake). The two friends meet in 2035 to get a drink. 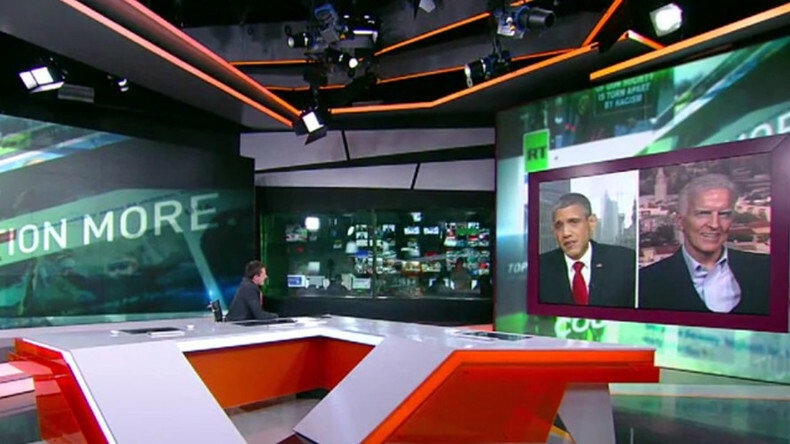 Long retired, Obama asks Kerry, what’s new in the world. “Apart of the fact that nobody is afraid of us anymore, there is nothing new, sir,” says the actor who plays Kerry. While getting cold beers from the fridge, the TV in the kitchen has RT on and is playing an address by the US president, who in 2035, according to the script, will be Edward Snowden, the infamous whistleblower. Hearing Snowden speak, Kerry yells out, “Damn Propaganda bullhorn,” in reference to RT. “Damn Propaganda bullhorn,” is repeated back by Obama. He said that an exciting part of starring in the RT promo was that it made him see what he might look like 20 years from now. “The fact that Edward Snowden was the president,” is what he liked the most about the production, Ortiz said. John Kerry, who acted as the secretary of state in the promo, told RT what it was like to be a big politician’s namesake. Turning to comedy and spinning off Snowden's placement in the promo, Ortiz told the audience, speaking as Barack Obama, that they should not bother to submit complaints about mass surveillance by NSA directly to him.